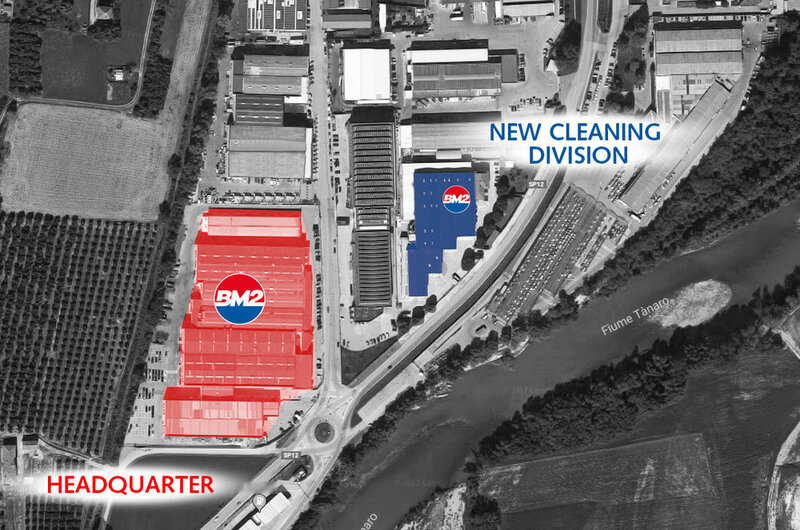 As scheduled for 2017, the Biemmedue meets the established deadlines and the 8 January 2018, opens the doors of its new production facility dedicated to the Arcomat line, which deals with the design and production of professional cleaning machines such as high pressure washers, vacuum cleaners, sweepers and single brushes. After months of work, the two Biemmedue plants located in Codogno, in the province of Lodi, and in Portogruaro in the province of Venice, were moved to the Piedmontese territory of Cherasco, the company's base and headquarters. Marco Costamagna, Managing Director of the Biemmedue company and elected in 2017 as new President of the General Council of Confindustria Cuneo of the Mechanics section for the 2017/2019 biennium, has chosen to invest once again in Piedmont with an expansion of about 6000 m² integrate the existing industrial pole of the Biemmedue, for a total investment, excluding the building, which can be quantified at around € 2,000,000. The Biemmedue then continues the path of 100% made in Italy production, focusing on its territory and its productive strength to compete at best on international markets. An excellent start in 2018 for this solid Piedmontese company World leader in heating, cleaning and dehumidification, which aims at the new year a further business growth that is the basis for always being more strongly the benchmark of the Italian market and international and one of the most important production companies in the world in the field of equipment at the service of companies. In fact, Cherasco is the headquarters in which the Costamagna family, owner of the BM2 Company, has founded a production reality that over the years has assumed an increasingly solid and established importance not only at national level, but all over the world, becoming a point reference and synonymous of professional products of the highest quality in the field of heating, cleaning and dehumidification. In the last months of 2017, all the production lines, a vertical warehouse, the freight elevator, an elevator platform and all the components concerning the wide range of models dedicated to industrial and professional cleaning were installed in the new shed. Today, Biemmedue officially launches the actual production of the Arcomat machines.